Coming off of the popularity of the original Mrs Cop, Mrs. Cop 2 quickly brings back the thrilling story of yet another ahjumma cop, this time, one with FBI training. Our heroine Go Yoon Jung (Kim Sung Ryung) returns to South Korea from the U.S. and is asked to fill in the spot left behind by our original squad chief Choi Young Jin (Kim Hee Ae), who is taking a break from police work. Above everything, the acting was superb. In a nut shell, Mrs. Cop 2 starts off very strong, then fizzles out in the middle, and unfortunately chooses to end in the stereotypical cliche way. Though above everything, the acting was superb. I loved the lead’s accurate portrayal of the protagonist. While the antagonist came alive as someone who is pure evil with a thirst for “fun”. All other characters are composed of the good things and have a high sense of justice. The drama gave the right amount of attention to each of its characters and the issues around them, though a few of them seemed to be unnecessary, with nothing to do with the plot whatsoever. From a plot perspective, the drama had a number of twists that were off the record and I sat through them completely awestruck. However, there were a lot of draggy scenes and sequences which could’ve been avoided as well. Also, for a crime/cop drama, Mrs. Cop 2 had surprisingly little action, which contributed to the dullness during certain parts of the drama. Overall, it was an enjoyable drama, but I think not everyone would sit through this somewhat uneven ride. These four episodes saw a mighty transition from being mediocre to spine-chilling in one episode. Mrs. Cop 2 balanced between intense white-knuckle scenes and highly comedic scenes while defining the main characters of the story well. It balanced intense white-knuckle scenes with highly comedic ones. Our heroine, Yoon Jung, is a shrewd and funny fashion guru in her forties who rejoins the police force in Korea after training at the FBI. We quickly discover that she’s a divorcee who wants to right a wrong from six years ago. To me, the protagonist seemed to be quite realistic and tangible. The way she uses face reading techniques to select her team members, and the way she uses different shoes stored at the office for different purposes show us that she’s a superstitious yet systematic person. Park Jong Ho (Kim Min Jong) from the original series returns, but this time, he opposes our protagonist and keeps giving her obstacles to make her quit. His quest ultimately leads Yoon Jung to be assigned an unsolved cold case that turned into a serial murder case. 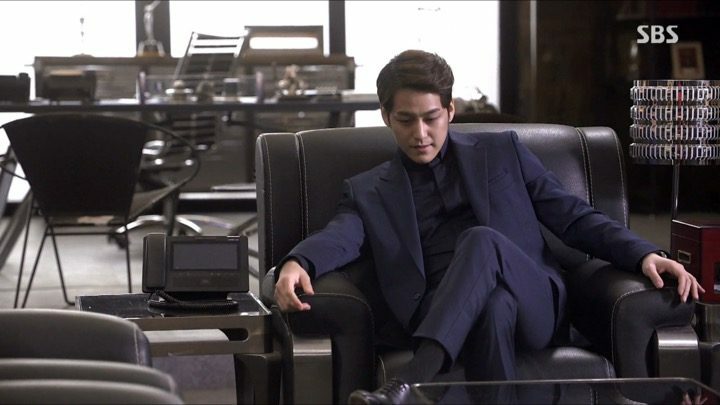 The potential antagonist candidate is Lee Ro Joon (Kim Bum), a rich and handsome young man in his twenties, where his father’s death left him as CEO of a loan company. Ro Joon has a nasty temper that kills (literally) those who don’t obey him and those that bad mouth him. He comes across as a highly intelligent and cunning individual. As Yoon Jung interacts with him, we can also see that he’s cruel but patient — a monster with self-control. He plays a pivotal role in solving the serial murder case proving his gray matter, yet again. Yoon Jung’s team members consist of Shin Yeo Ok (Son Dam Bi) — a female deductive who is tough, smart, and kind. Oh Seung Il (Lim Seul Ong) is an honest and righteous police officer who is law abiding by his bones and believes that no crime should go unpunished. The most senior member of the team is Bae Dae Hoon, a lazy, dirty, and pre-judgemental detective who follows Yoon Jung earnestly and takes her word as law. Last but not least is the hardworking rookie, Kang Sung Chul, who puts his job before everything. His boyish appearance mask his violence and is all in all the funniest one of the team. What I liked about these episodes was that the team is formed quickly and no time is wasted on team “bonding” and such. The drama cuts to the chase and things move quickly with no illogical sequences or dry spots. The bit of romance between Seung Il and Yeo Ok also paints a lighter hue to the drama here. The opening episodes of Mrs Cop 2 certainly caught my attention as I loved the way it progressed — with cliffhangers that were worthwhile and comedy that was situational and genuine. These episodes transitioned the plot at light speed, yet occasionally, there were scenes that let my attention fell flat. These scenes though were extremely important for the story development and made more sense as I watched on. Through these events, Mrs. Cop 2 paints an even more clear picture that Ro Joon is a genius psychopath with immense greed, while our heroine seems to be just as cunning. Massive cliffhangers round out the drama with a solid mix of crime, thriller, and comedic elements. 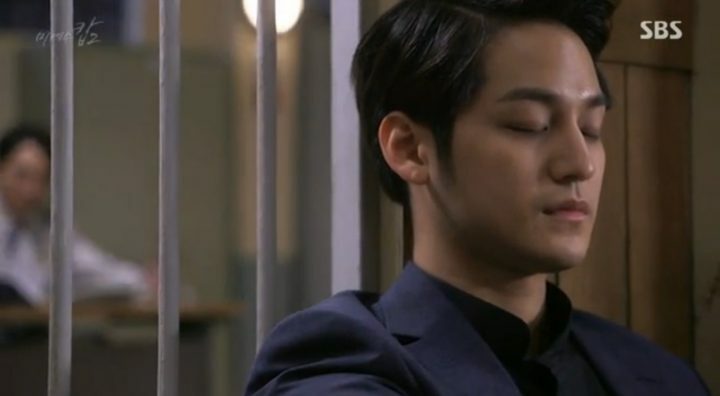 The serial murder case is successfully closed by our crime squad, but there seems to be a greater conspiracy looming over the Seoul Police Department. On the other hand, Ro Joon manipulates people to his wishes while his past reveals something shocking and scary. Yoon Jung and her team stand tall to bring any and all crime to justice — small as pickpocket offenders, big as an elusive international scammer. Mrs. Cop 2 goes high on humor again here, the whole sequence dealing with the pickpockets is a very good example for my point. The drama spends a little more time on Yeo Ok wherein she comes across as highly resourceful during several occasions, yet there is a whiny childish side to her too. Her relationship with Seung Il also get its fair share of spotlight, though it doesn’t drastically progress. Other characters receive little limelight and development than what is already offered. Massive cliffhangers are featured yet again, with just about everyone being a plausible suspect for the crime. They help round out this segment of Mrs. Cop 2 to be extremely intriguing with a solid balance of crime, thriller, and comedic elements. 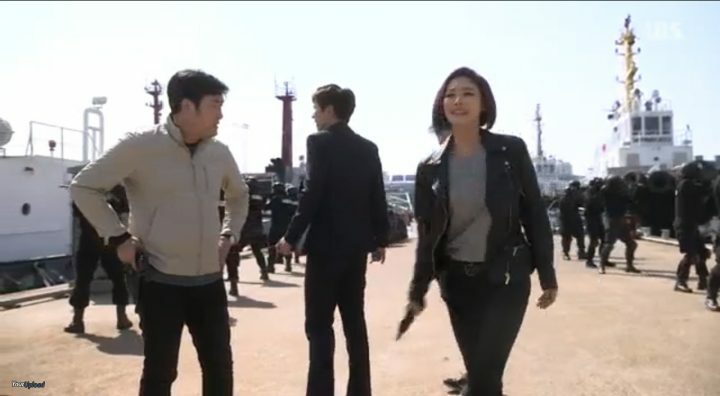 In the next few episodes of Mrs. Cop 2, Ro Joon and Yoon Jung finally have their face off and begin their battle. There was just about anything anyone would want in a good crime/thriller drama: the action, the intrigue, the edge-of-seat mystery solving sequences, and most of all, the mind games between the hero and the villain, kept my eyes peeled and heart racing. It was one heck of a rollercoaster with every moment being intense and enjoyable. But as far as plot advancement and character development go, there were few changes besides Ro Joon’s pure evilness being brought to light even more as he tries to achieve his ambitions. This is again a testament to the fact that Yoon Jung’s brain and Ro Joon’s intellect make them a perfect match for each other as they reach stalemate in this game of chess. Yoon Jung looses her stylish persona and takes a turn towards the plainer side. I totally loved this symbolic way in which she wages war on Ro Joon. I thought it was a realistic dramatization of her transformation. Watching these episodes, I could only think about what’s going to follow in the remaining eight episodes. But, as already mentioned, although these episodes were entirely thrilling they didn’t add much to the plot line. These episodes of Mrs. Cop 2 started off well but some of the sequences could have used a little more explanations. For example, the scene where Ro Joon gets a man to kill his own daughter is one of those sequences that lacked details in logic. Towards the end of the 13th episode, the drama became noticeably monotonous. 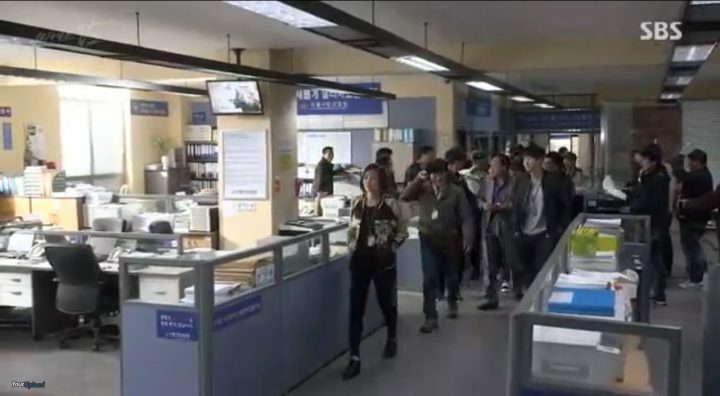 Towards the end of the 13th episode, the drama became noticeably monotonous with the crime squad and other characters marching in to arrest illicit drug dealers and thieves simply for the sake of keeping up appearances in the drama. Much to my dismay, the central focus is maintained on Ro Joo and Yoon Jung’s battle, where Ro Joon uses every (evil) method possible to advance his VVIP hospital only to be thwarted by Yoon Jung at every turn. Yes, there were several moments of comedy, action and mystery, but those elements were presented in a heterogeneous mixture without a natural flow to it. Ro Joon becomes more murderous by the minute while his plans lacked perfection and the calculative detachment that once enticed me. And all Yoon Jung does is to be sarcastic and sassy. With the exciting start Mrs. Cop 2 had, I would say this section was a rather poor continuation. Overall, these episodes seemed like fillers for a twenty episode drama with no momentum whatsoever. But, I’m willing to hang onto the show and see what happens in the end. The final showdown solves all the problems Mrs. Cop 2 started with. Like many other similar styled dramas, it simply offered a realistic yet typical solution to wrap things up. 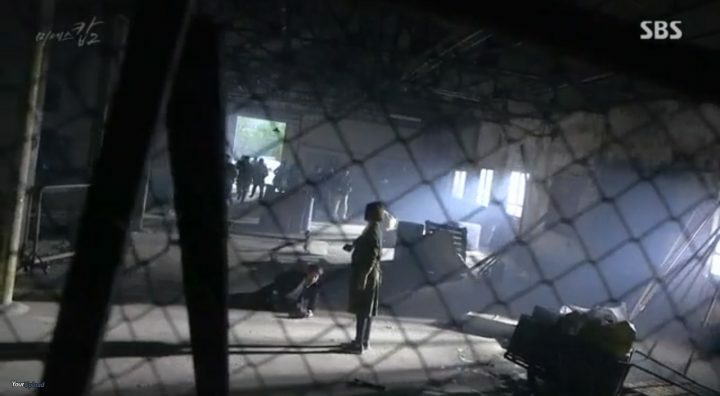 Ro Joon takes on several new personas to escape an entire team of police force ensuing him, while the viewers get to explore different sides of him. These episodes focus a little more in depth on the villain, which is something I appreciate. I loved the fact that the good old evil genius Ro Joon was brought back to life here, even if only momentarily, in these episodes. There were scenes that made me feel sorry for Ro Joon, particularly the sequences involving his loyal assistant. Ro Joon’s mother also gets her three seconds of fame here, which brought tears to my eyes. Though her character has not received as much attention previously, she has been by Ro Joon’s side all along. I truly appreciate the writer’s effort to add a shade to this character as a way of humanizing Ro Joon. It seems to be the happy ending for all but Ro Joon, a cliched one at that. I felt that this plot would’ve worked for a movie or even a drama with fewer episodes. While there weren’t any logical issues, there were far too many dry spots that ebbed my attention. Moreover, while the plot twists were out of the box, Mrs. Cop 2 didn’t have the desired impact on me because the storyline was painfully slow at times. It’s worth the twenty hours if you have the patience for it.